It’s now accepted that Mars once was a warmer, wetter world, with organic compounds and liquid water on its surface. 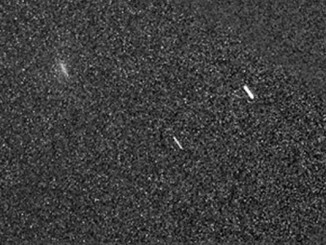 New research shows the red planet also could have supported microorganisms below the surface for hundreds of millions of years. On Earth, microorganisms in subsurface lithotrophic microbial ecosystems – SLiMEs – can thrive in the absence of sunlight by stripping electrons off dissolved molecular hydrogen. 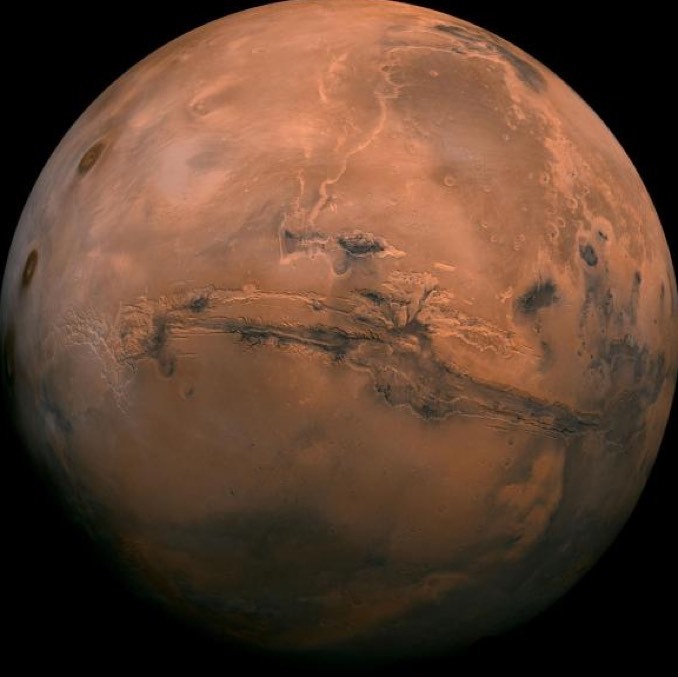 The new research indicates radiation from the decay of uranium and other elements, in a process called radiolysis, would have generated similar amounts of sub-surface hydrogen on the Mars of four billion years ago as is found on Earth today. The study does not prove such life once existed on Mars, but it suggests that if life got started at some point, the subsurface environment had the ingredients needed to keep it going for hundreds of millions of years, regardless of how long liquid water remained on the surface. 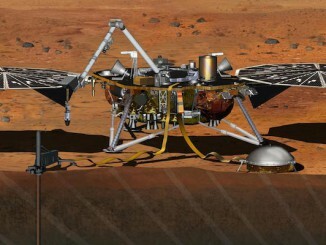 The researchers used data from a gamma ray spectrometer aboard NASA’s Mars Odyssey spacecraft that mapped abundances of radioactive thorium and potassium in the red planet’s crust. Those data, in turn, led to estimates of the abundance of uranium. The decay of those elements would have provided the energy needed to drive the breakdown of water through radiolysis. After studying geothermal and climate models, the researchers concluded Mars likely supported a sub-surface habitable environment several kilometres thick, a zone that was not over heated by Mars’ core or so cold the water would freeze solid. 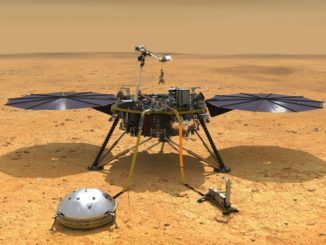 Weather data from NASA’s InSight Mars lander is now posted daily, allowing armchair astronauts to better appreciate conditions on the red planet.